2 Bedroom Flat For Sale in Bridgwater for Asking Price £127,500. Featuring built in appliances to include electric fan oven and hob, fridge/freezer, washer/dryer, fitted carpets and vinyl floor coverings. The stylish homes have ultra smart electric radiators, useful storage cupboards and parking. Benefitting from a 999 year lease and builders 10 year warranty. For first time buyers there is the help to buy scheme. Investment buyers benefit from approx a 6% yield. 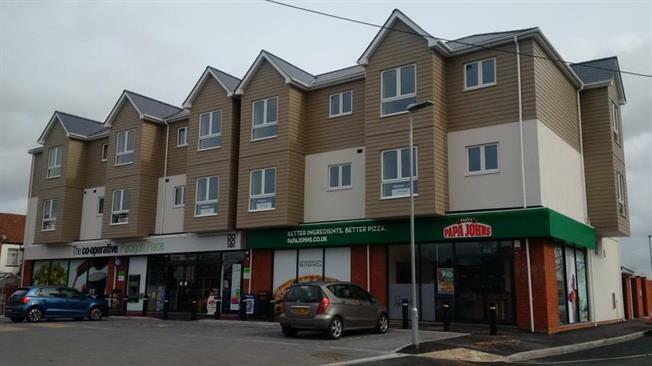 Located on the main bus route for both Hinkley C and the town with its shops and amenities and railway station. On the ground floor there is a useful Co-op convenience store. (New Homes Sales Advisor) Direct 01278 310047.